All Sani Peyarchi Pooja Orders received after 5:00 PM (IST) 18-Dec, 2017 cannot be executed on Sani Peyarchi Pooja Day (19-Dec-2017). Instead Pooja will be performed on the date selected by you and Prasadam will be sent to you. Sanee (Saturn), the Lord that brings us all good things transits from viruchaga Rasi (Scorpio) to Dhanushu Rasi (Sagittarius) on Tuesday 19th December, 2017 at 10.01 AM and is going to remain there for the next two and half years. This shift is going to bring in mixed fortunes. THIRUNALLAR (near Karaikal) is the temple for Saneeswarar and is one among the Nava Graha Stalams. 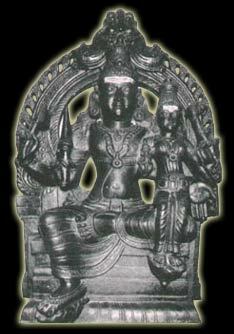 The presiding deity here is Saneeswara Baghawan with goddess Praneswari. Birth of Saturn : Samja, the wife of the Sun could not bear the intense heat of her husband. She created a duplicate of her form called Chaya, left her in the house and went away to her parents. The Sun not aware of this plot lived with Chaya, thinking her to be his wife, she begot a son to Sun and he is Saturn. It is believed that people in all Rasis in general and particularly in the affected Rasis given below, perform Pooja to appease Lord Saneeswarar in this transit.